Amicor, a unique fibre with anti-bacterial and anti-fungal additives is owned and managed by The Thai Acrylic Fiber Co Ltd (TAF), a company that was incorporated in 1987. Part of the corporate behemoth Aditya Birla group, it has a wide and deep presence in textiles. Amicor is an intelligent anti-microbial fibre. Due to the unique fibre structure, the additives are diffused slowly - providing long lasting protection inside beds, bedding, furnishings and carpets. Amicor comes in various forms and they deliver a variety of effects and benefits for the end user. 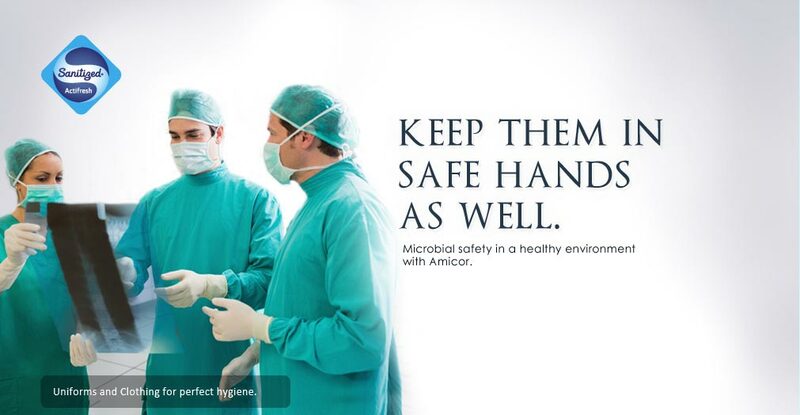 Amicor is the most effective and durable 'intelligent' fibre that achieves 'good microbial control' across most textile materials in the healthcare environment. Amicor in beds & beddings or furnishing & carpets, the gentle, safe and soft fibre helps improve indoor air quality and keeps the room environment healthy. Anytime freshness in clothes is made possible with Amicor. Be it shoes, socks, uniforms or trainers, the self-replenishing Amicor fibres provide lasting hygiene and a pure feel. 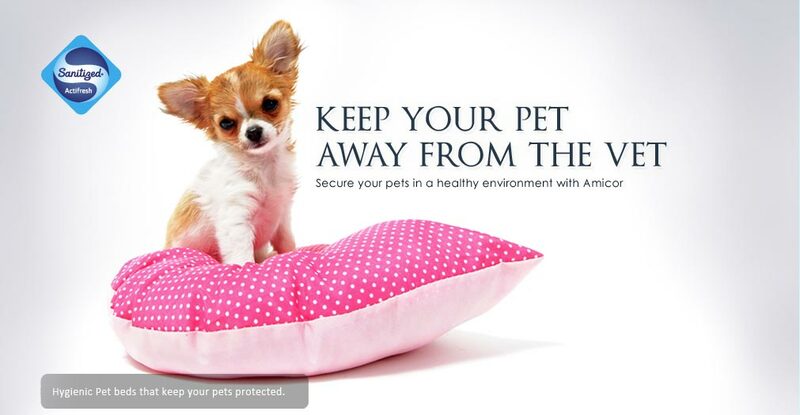 Amicor's freshness is extended even to Animal Care whereby pet dogs and cats can now snuggle up and enjoy the softness and comfort of Amicor bed & blanket. "Amicor technology with the built-in Sanitized hygiene function creates a reassuring feeling of lasting freshness"
Anti-bacterial, odor-free and highly durable sportswear using Amicor with Sanitized chemistry was on display at Spinexpo, Shanghai 2014 exhibition. Amicor, with new technological innovation using Sanitized anti-bacterial & anti fungal additives was at the Heimtextil 2014. Copyright © 2014 Amicor. All rights reserved.